Motivated Seller. 8,000 even year points to vacation when and where you want! Buyer may receive a title fee credit, inquire for details! *Festiva Resorts Adventure Club* is a family of interval ownership resorts located in some of the most sought after locations in the United States and Caribbean. 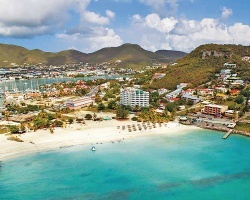 Whether you're looking to set sail in the Virgin Islands on an all-inclusive private catamaran, have a couple's getaway to the seaside town of Charleston, South Carolina, play golf at some of the finest courses in Myrtle Beach, or relax on the beaches of the Caribbean, Festiva can make it happen! To discover more, visit http://festiva.com/. *Outstanding Vacation Club* Featuring a finely appointed 2 bedroom, 2 bath suite that will accommodate 5 guests comfortably. Biennial even usage is based on points, with 8,000 points per year included in the sale. Points can be used to stay at any resort in the Festiva Resorts Adventure Club network. RTU in perpetuity. For more information or to make an offer, please submit the inquiry form.